Passionate and energetic student with a solid history of achievement in English. Highly motivated to continue my English education with the goal of teaching at the college level. 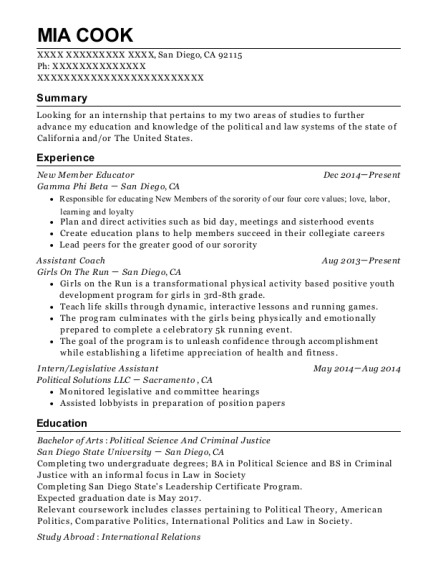 Dedicated leader with strong organizational and prioritization abilities. Project management including delegation of responsibilities based on cooperating individual's skills. Responsible for creating syllabus for new member classes. Educated new members of the fraternity on the traditions, values and business practices of the chapter. Tested new members to verify that they both understood and retained the information being taught. Compiled a database of alumni including contact information, contributions and strength of affiliation. Frequently updated alumni on the chapter's current and upcoming ventures. Created two alumni newsletters per semester. Recommended alumni to the chapter officers who could advise them on the challenges of their positions. Pressure clean exterior surfaces including siding, gutters, patios and walkways. Strip and stain exterior wood including siding, fences and decks. Install Perm-a-flow gutter guard systems. Describe merchandise and explain use, operation, and care of merchandise to customers. Receive and process incoming shipments of merchandise. Answer questions regarding the store and its merchandise. Demonstrate use or operation of merchandise. Open and close cash registers, performing tasks such as counting money, separating charge slips, coupons, and vouchers, balancing cash drawers, and making deposits. Reorganized chapter positions to more effectively distribute workload and responsibilities. Recommended chapter members to positions that suited their interests and skill set. Attend Chapter, Prudential Board and Judicial Board meetings and record minutes. Compile and maintain a database of information for executive officers' ease of access, including members' academic and work schedules and members' contact information. Maintain chapter calendar including dates and description of events. 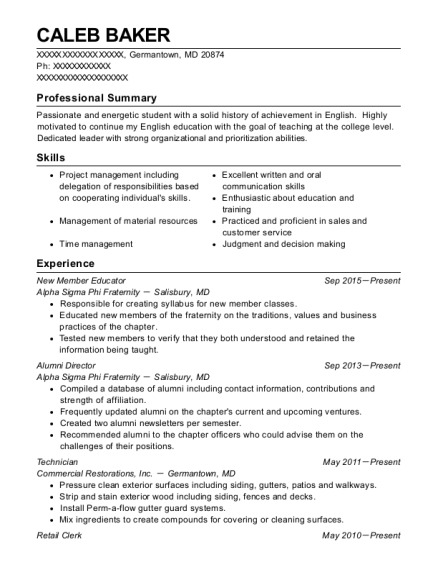 This is a resume for a New Member Educator in Germantown, Maryland with experience working for such companies as Alpha Sigma Phi Fraternity and Alpha Sigma Phi Fraternity. 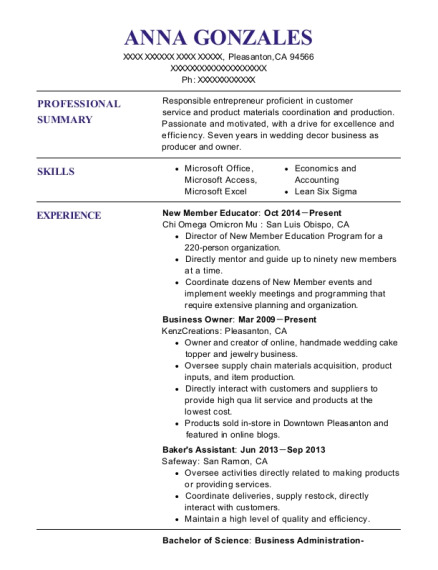 The grade for this resume is 0 and is one of hundreds of New Member Educator resumes available on our site for free. 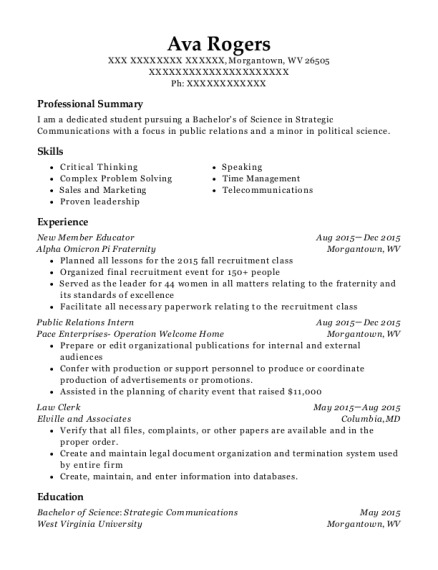 Use these resumes as templates to get help creating the best New Member Educator resume.